What Skills Are Needed for Cyber Security on the Professional Level? Fraud, identity theft, corporate data breaches, non-payments, and more cost victims more than $1.4 billion last year, according to the FBI. The problem is only getting worse. Which is why government agencies, corporations, and other organizations are hiring cyber security professionals at a frantic pace. According to the U.S. Department of Labor's Bureau of Labor Statistics, jobs in cyber security are expected to grow 28 percent by 2026. Everyone, it seems, is interested in hiring people to help monitor networks for security breaches, investigate violations, develop security standards and protect against criminals with nefarious intentions. Cyber security relies on a plethora of tools to protect networks from attacks, including hardware and software designed to protect against specific intrusions. But the tools are only as good as your ability to maximize their capabilities. Having strong IT skills is where every successful cyber security professional needs to start. You'll have to use your skills, logic, and reasoning to identify the strengths and weaknesses of a variety of IT systems--and then use your skills to monitor them, test them and make sure they are working properly. Criminals are actually pretty incredibly. They are resourceful and relentless in their drive to victimize others. That's why every time hardware of software is developed to thwart their efforts, they regroup and come up with another scheme. As a cyber security professional, it will be your job to stay one step ahead of them. You'll have to have the skills to constantly test security systems and networks. You'll have to monitor for attacks and think about what could come next. Additionally, you'll have to have the skills to develop strong defenses -- always. While you'll need the mind of a hacker, you'll be viewing the actions through the lens of an ethical hacker. It has been said that no person is an island. This is especially true in the world of cyber security. In organizations that have successful cyber security programs, the responsibility is shared. Sure, there are policies and best practices put in place, but they are only effective if everyone buys into them and follows them. As a cyber security professional, it will be your job to get everyone in the organization on board. You'll tend to work with colleagues at all levels of the organization -- from the C-suite to the interns -- to ensure that policies and best practices are understood an followed. You'll be expected to have your pulse on the industry, identify trends, and provide guidance about how to best address emerging issues. It means working with others in the IT department, leaders and anyone else who has access to technology, which is likely to be everyone in the organization. There are a lot of moving parts in the cyber security industry. In addition to understanding, installing, monitoring and managing hardware and software, you might be asked to work on special projects, conduct audits and ensure that your organization is in compliance with government and industry regulations. It's can be a lot to manage, and it requires an unwavering attention to detail in order to make sure that nothing slips through the cracks. For example, missing even one area of a compliance audit could result in your organization having to pay significant fines and facing penalties. Jobs are plentiful in the cyber security industry and organizations are hungry for talent. But often they want talent that already has real-world experience. Government agencies, businesses and non-profit organizations prefer to hire people who can hit the ground running. Sure, they'll train you on their specific programs, policies, practices and culture. But if you have real-world experience, you'll be more likely to add value right away. There are many great ways to gain practical experience. You can volunteer with a company or group. You can learn on your own. Or you can enroll in a degree program that offers externships, where you'll put the knowledge and skills you're gaining in the classroom to work in the real world. 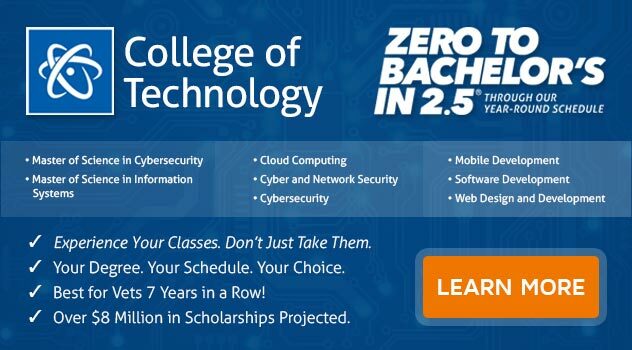 If you are interested in joining the fight against cybercrime, consider earning a Bachelor of Science Degree in Computer and Information Science with a Major in Cyber and Network Security. ECPI University offers this program at an accelerated rate. To find out more about this exciting opportunity, connect with a knowledgeable admissions representative today.